I read this article and found it very interesting, thought it might be something for you. 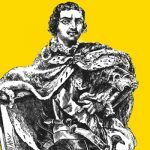 The article is called What Peter the Great Discovered in Amsterdam: Inclusivity Creates Wealth and is located at http://evonomics.com/tsar-russian-inclusive-economics-peter-the-great/. After coming to power in the late 17th century, Peter the Great of Russia decided to escape the confines of the Kremlin and travel incognito across Europe for a variety of diplomatic and personal reasons. Trade was clearly a factor, but so too was religious toleration. Holland at the time was what Mathis calls an “intellectual and artistic clearinghouse” where clever thinkers, who let their pen or mouth wander too far, escaped repressive regimes. In this land of inquisitive minds, Dutch religious tolerance was born. While this principle was not encoded in law, people would “look the other way” so that Calvinists, Catholics, and others could live together peacefully and productively. Peter began to realize that Dutch commercial prosperity largely derived from its tolerant nature. He left Europe “intrigued by the atmosphere of religious toleration” and swore to mitigate the intolerance and rigidity of the Russian Orthodox Church on his return home. Locke’s Letter, while focused on religious tolerance, was ultimately about creating a more inclusive society. That civilizational struggle still continues to this day in the Western world, but this time the exclusive force comes not from religion, but from economics. The only way to defend wealth distortion like this is to claim a well-functioning society necessitates great inequality. Just like the religious intolerance of yore, today’s exclusive brand of economics is clearly not the best way to organize a group of people, but instead represents the best way for a few individuals to maintain power and wealth. The myth of exclusivity’s benefits must be erased once again, because our current economic philosophy is holding back our human potential. A system like this is not how you engender the most creativity or productivity in a people. Rather, it is how you fertilize frustration and disenchantment, which we’ve seen manifest recently in the election of Donald Trump and Brexit. This call to action should not be mistaken as a call to true egalitarianism, it is a recognition that too few people possess too much of the capital today. It’s not that the today’s economy is doing everything wrong. On the contrary, extreme poverty has been greatly reduced, advances in medicine have flourished, and an unimaginable array of goods and services have been unleashed. Yet like the Catholic Church, which spurred philosophical breakthroughs, cathedrals, and pieces of art, these wonderful achievements do not shield these exclusive forces from critique. Thought of in this way, the rampant inequality and exclusionary economics of today’s Western economies are merely another “significant conflict” between those resisting inclusivity and those benefitting from the system. Just as Peter the Great realized exclusionary forces suppress prosperity, we need to see through the lies which hold up the current economic system. For as Locke wrote, “it seems monstrous for men to be so blind as not to perceive the necessity and advantage” of a more inclusive world. Originally published at Civic Skunk Works. The Conversation About Basic Income is a Mess. Here's How to Make Sense of It. Nick is a contributor to Civic Skunk Works where he write about politics and economics. 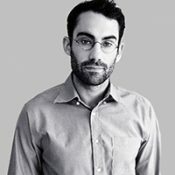 He is also the head researcher for Civic Ventures. He studied International Relations at the University of St Andrews, Scotland.